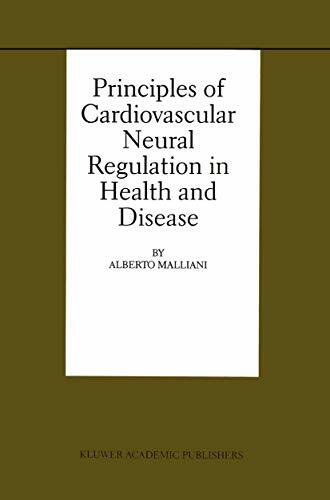 This book is an attempt to indicate to researchers and clinicians a simple way to approach the complexity of cardiovascular neural regulation. A conceptual pillar like homeostasis is contrasted with instability and a continuous interaction of opposing mechanisms that have negative and positive feedback characteristics, and is considered to subserve the multitude of patterns pertaining to physiology. However, in pathophysiological conditions the final design is most often replaced by largely purposeless neural mechanisms. The complexity of cardiovascular neural regulation, reflected by the state of sympathovagal balance, is also assessed in the frequency domain. Power spectrum analysis of heart rate and arterial pressure variability, a sophisticated but simply explained approach, provides an unprecedented tool to evaluate this interaction in both physiological and pathophysiological conditions. The elementary characteristics of nonlinear dynamics are also outlined. Finally, the need for an ethical structure for science and medicine is analyzed.